A woman had left kids in a hot car which was dangerous since animals have died in hot cars before. The woman left her kids in an SUV. The incident happened in Vancouver inside of a grocery store parking lot. The officer that was on scene was pretty angry. 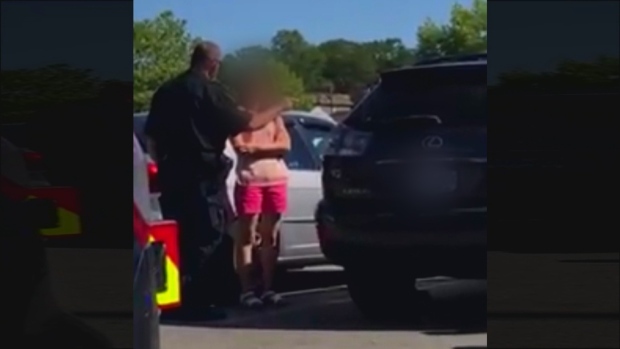 The officer yelled at the woman: "You don't seem to understand the danger you put your children in," "The windows were up – it's hot out. Your children could have died." The officer tried to explain to the woman how dangerous the situation was. The responders that were called are said to have been police, firefighters, and an ambulance. The SUV windows are shown to be closed before the driver of the vehicle came back. The driver did say that she had the sunroof open in the SUV. The children were treated by the ambulance on the scene but were not brought to the hospital. It is said that they were dehydrated. Police have said that they contacted the Family Development and Ministry of Children. Adam Palmer who is a Vancouver Police Department Chief said: You have to remember that police officers are just people,"
"We're all just human beings. And he was trying to convey to that woman the seriousness of what she'd done to her children," he said. It can be seen in the video that one woman is blocking the SUV from the back to it could not leave. The SUV was stuck in the location because a cement pillar blocked it from the front.